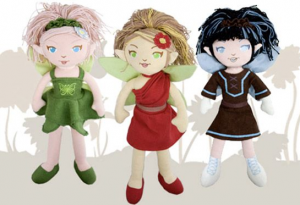 Planet Pixies | Organic Dolls, Eco-Friendly Too! We’re the Planet Pixies and all over the planet there are pixies like us that are losing their homes. But don’t worry, you can help! Click on one of us to find out what you can do to help save our environment so that no more pixies have to lose their homes. Is dedicated to providing children’s toys that are safe, creative, fun and better for the environment. We are committed to providing high quality products using materials and processes that show respect for our planet all its inhabitants. 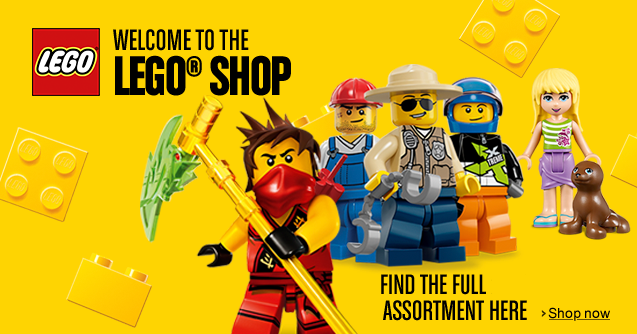 We pride ourselves on offering Eco-Friendly toys that retain quality without compromising affordability. Others are encouraging the fathers to buy their wives 3rd year anniversary gift, on the other hand we encourage them to buy their daughters our quality and educational toys. 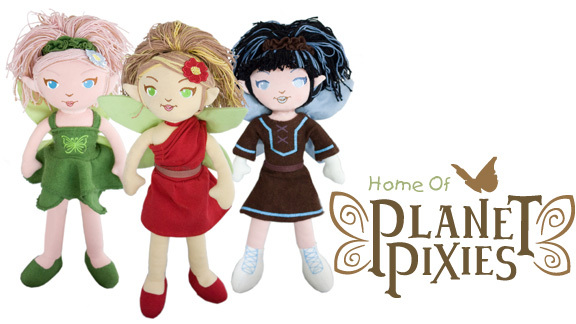 Planet Pixies are made from organic cotton fabric and all natural materials colored using non-toxic water based dyes. Pixie packaging is made from 100% post consumer recycled cardboard, and is 100% recyclable. Pixies are produced and manufactured in Sri Lanka.